Everyone knows that homes need maintenance but often window repair is overlooked. Rain, temperature variations, and dirt and debris can cause window wear and tear. Damage can lead to deterioration, energy loss and insect infestation. Proper maintenance will help your windows look and function their best extending their lifespan. Check for wood rot on both the interior and the exterior of the windows. Wood that is spongy, soft or can be easily probed is rotted. Moisture can penetrate rotted wood and cause damage to wood support, insulation and drywall. Look for water stains or discoloration on the interior walls around your windows. Water stains are a sign of water penetration. 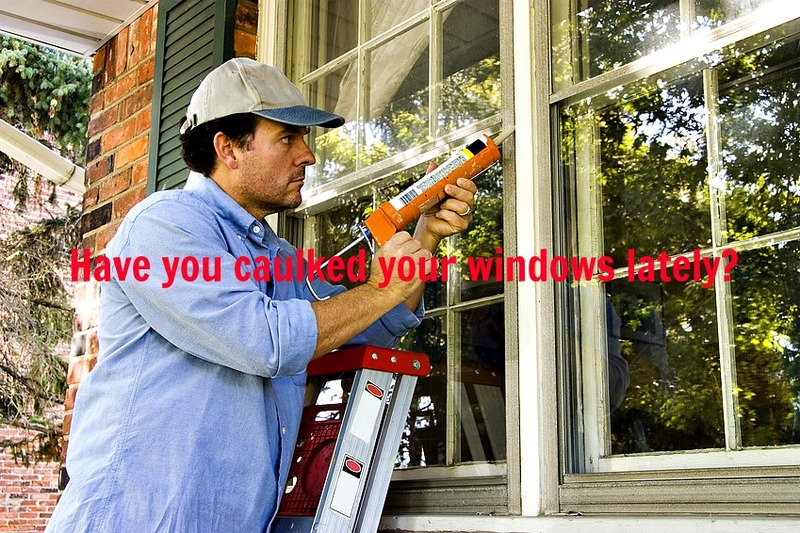 Inspect the caulk around your windows on both the exterior and interior. Caulk provides a seal between the window frame and exterior cladding. It is essential that the caulk remains intact fully sealing all joints at the window. Cracks, joints or gaps where caulk is missing are susceptible to moisture penetration and loss of conditioned air from your home. Remove loose, old caulk before resealing joints and gaps ¼” or larger. Examine the weather-stripping. Loose weather-stripping should be reattached. Torn or damaged weather-stripping should be replaced. Weather-stripping provides a tight barrier between a window sash and the frame to prevent air and rain from entering the house. Look for broken window seals. Double-paned windows provide insulation from temperature changes and noise. When the watertight seal fails, the insulating capacity of a window is greatly reduced. The result is condensation forming as a white, cloudy film between the glass layers. When this occurs, the solution is to either replace the glass or replace the entire window. Clean window sills and tracks. Dirt and debris can prevent windows from closing air tight. Use a soft brush to remove dirt and debris such as pine needles and insects. Make sure windows can open and close easily. This is a safety issue since windows are an escape route in the event of an emergency. Check locking mechanisms to make sure that windows close tightly and the hardware operates smoothly. Test for lead paint if your home is built before 1978. A certified professional must be used when windows painted with lead paint are replaced. Notice any diagonal cracks in the drywall around your windows. These drywall cracks may signal foundation problems. Houses settle over time and wall cracks can occur. If you see diagonal cracks, contact a professional foundation company. Include your windows on your home maintenance list. Use caution when working on ladders. Call in a professional if you don’t feel safe. If you have questions about your home’s foundation or foundation repairs, contact Atlantic Foundation and Repair at 919-855-0855.